Adapted from the very funny and foul mouthed Thug Kitchen. The roasted strawberries are kind of tart but the coconut flakes and good balsamic offset them and make for a f**king delicious salad. Preheat the oven to 400. Hull the strawberries and then cut them in half. Place in a bowl and toss with a drizzle of olive oil and a pinch of salt. 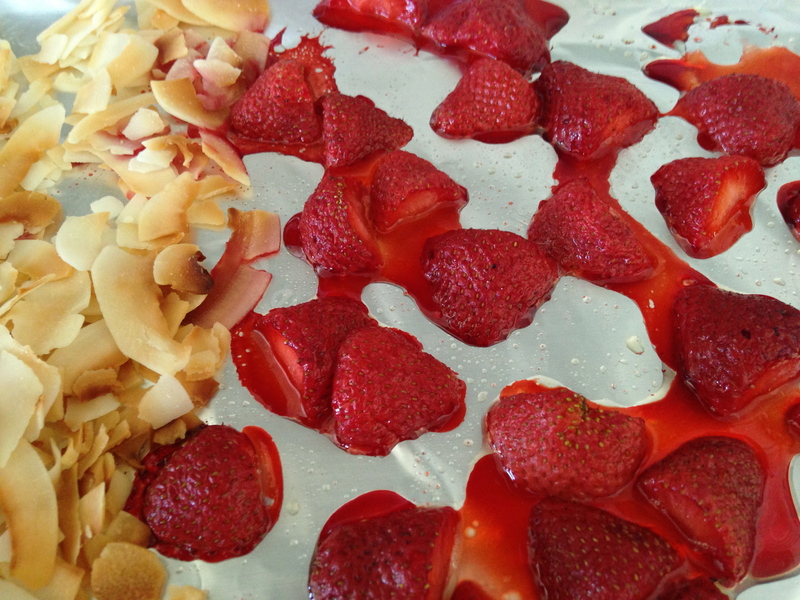 Place the strawberries cut side down on a cookie sheet lined with tin foil. Roast the strawberries for 10 minutes. Add the coconut flakes in their own section on the cookie sheet and then roast them at the same time for 3 to 5 more minutes or until the coconut looks toasted. Let cool. Slice the lettuces, basil and mint. Whisk together the oil and vinegar in the bottom of a mixing bowl. Add the lettuce, basil and mint and toss with the dressing. Season with salt and pepper. 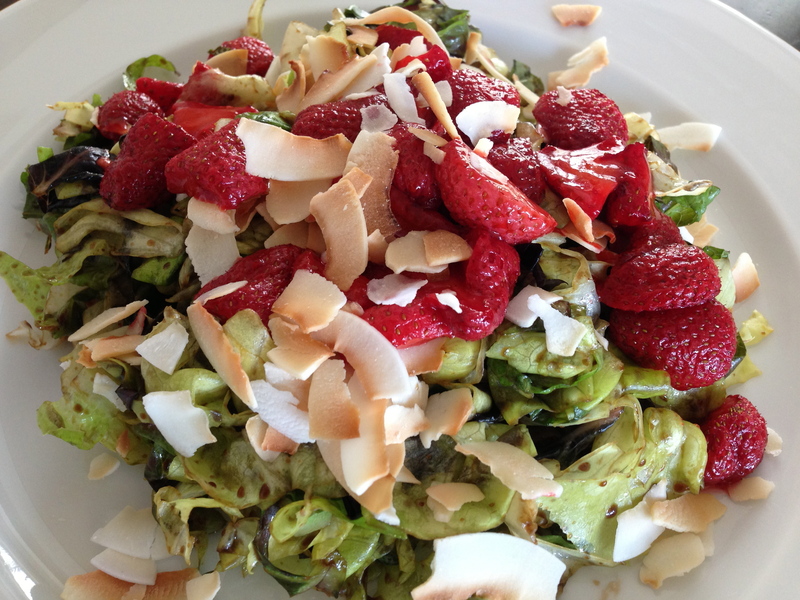 Top with the strawberries and and coconut flakes. Enjoy!